National demonstration against the bombing of Gaza marching from Hyde Park Corner to a rally at the Israeli Embassy. There was a violent confrontation between the protestors and the Police outside the gates of the private road leading to the Israeli Embassy. 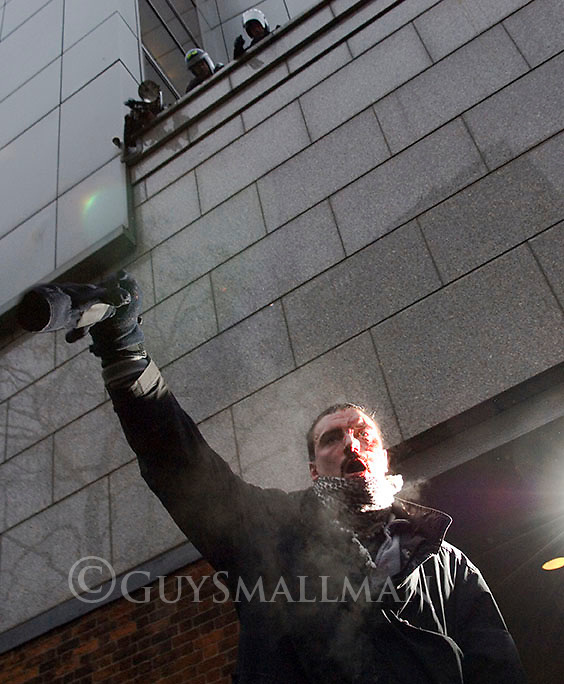 A wounded protester makes a defiant gesture outside the embassy gates.